Factbox: What happened when Egypt hosted the Nations Cup? It was the second edition of the Nations Cup, with Egypt grabbing their second title. The tournament only included three teams: Egypt, Ethiopia and Sudan. The late Mahmoud El-Gohary, who guided the Pharaohs to their fourth Nations Cup title as a coach in 1998, was the star of this competition, having scored a hat-trick in the team's 4-0 win over Ethiopia. Egypt defeated Sudan 2-1 in the second half, thanks to a double from Essam Bahig, to clinch the title. Fifteen years later, Egypt hosted the tournament for a second time. Expectations were very high because of the presence of many stars, including Hassan Shehata, Taha Basri, Farouk Gaafar, Ali Abou-Gresha and Moustafa Abdou. Eight teams participated in the ninth edition. Egypt finished the first round as Group A leaders after claiming three consecutive wins over Uganda (2-1), Zambia (3-1) and Ivory Coast (2-0). In the semis, Egypt lost to Zaire (now the Democratic Republic of Congo) 3-2 as the latter advanced to the final and won the title. Egypt finished third after thrashing Congo 4-0. Ismaily striker Ali Abou Gresha was the team's top scorer in the tournament with four goals. Egypt were stunned in their opening game by Senegal but they bounced back quickly, claiming two consecutive wins against Ivory Coast (2-0) and Mozambique (2-0). In the semis, they faced Morocco in a tight clash. Ahly's forward Taher Abou-Zeid made the difference after curling a delightful free kick past Morocco's famed goalkeeper Badu Zaki. The final was also very tough against a resilient Cameroonian side. Egypt won the game 5-4 on penalties after a goalless draw in regular time, thanks to keeper Thabet El-Batal who blocked two spot-kicks from from M'Bida and Kana Biyik. Taher Abou Zeid was Egypt's top scorer with three goals, one short of the tournament's leading scorer Roger Milla of Cameroon. 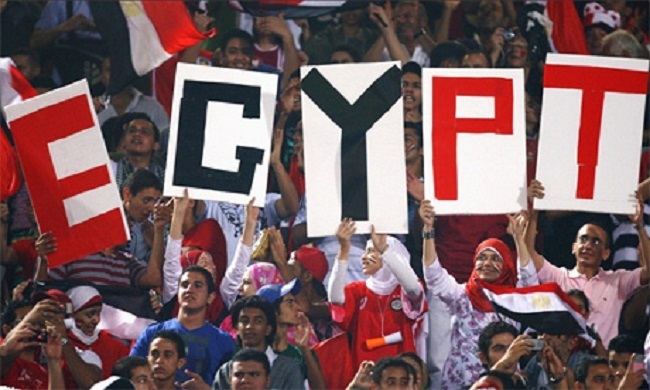 Twenty years later, Egypt had the chance to stage the Nations Cup for a fourth time. Cairo, Alexandria, Port-Said and Ismailia hosted the 16-team tournament. Egypt finished the group stage on top of a tough group that also included Ivory Coast, Morocco and Libya. In the quarters, they thrashed DR Congo 4-1 before claiming a narrow 2-1 win over Senegal in the semis. Egypt met Ivory Coast again, but this time in the final. The regular time ended goalless but the hosts emerged the winners 4-2 in the shootout. Goalkeeper Essam El-Hadary was the hero, blocked two penalties from Didier Drogba and Bakari Kone. Ahmed Hassan was named as the tournament's best player.